In advance of attending our Club’s monthly bus meet tomorrow, myself and Rachel decided to also head out today to ascend some hills. 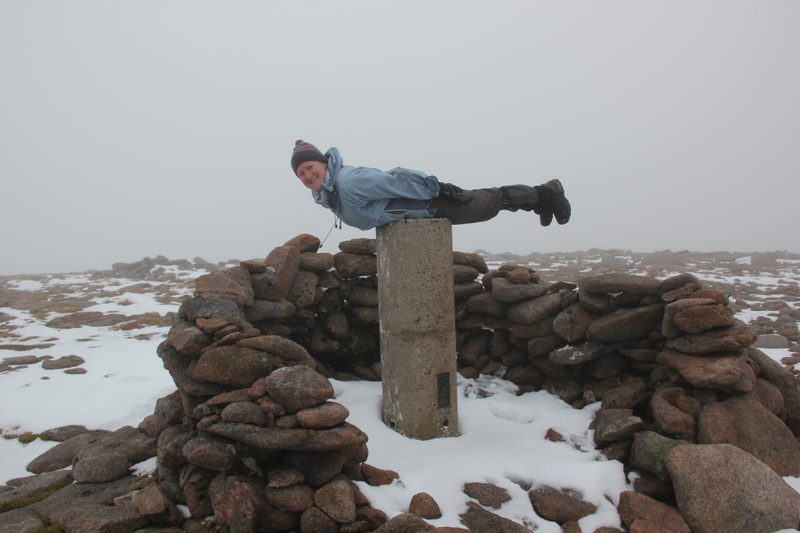 Rachel came up with the idea of ascending Monadh Mor and Beinn Bhrotain. 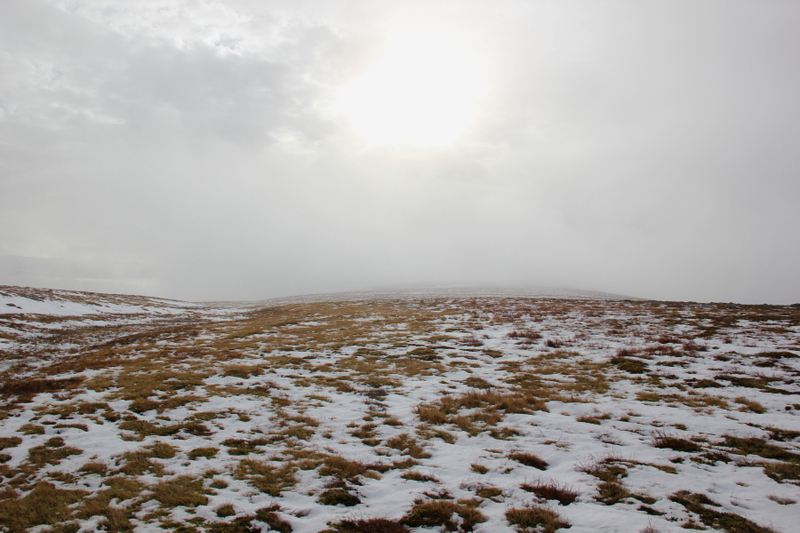 Having only ascended these hills once previously, back in 2001, I was also keen to re-ascend them. 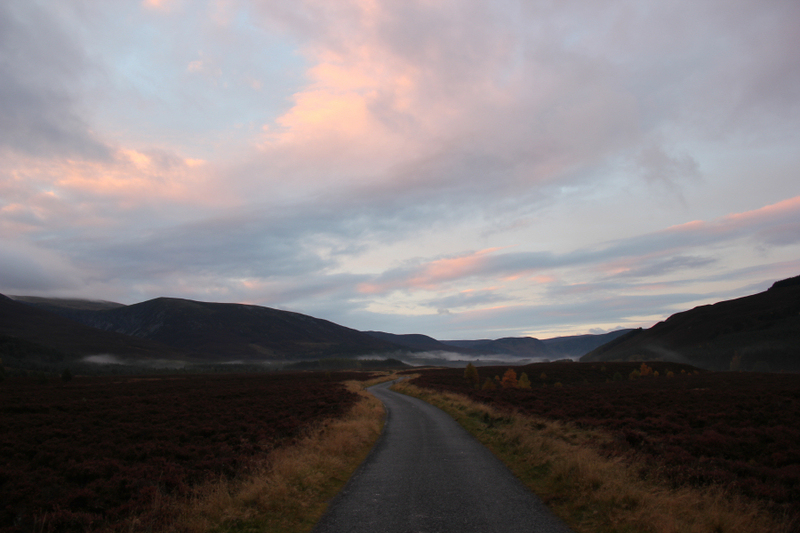 We parked in the large car park, circa 800m North of Auchlean. 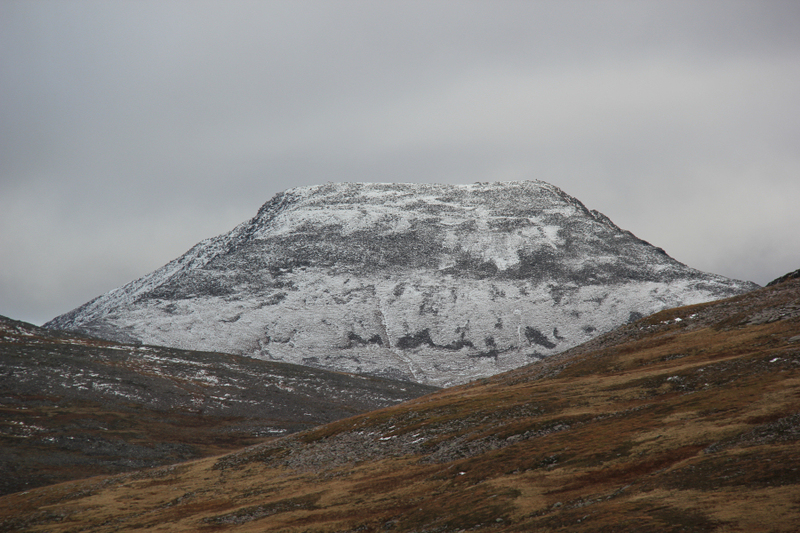 From the car park, we made our way towards Auchlean. 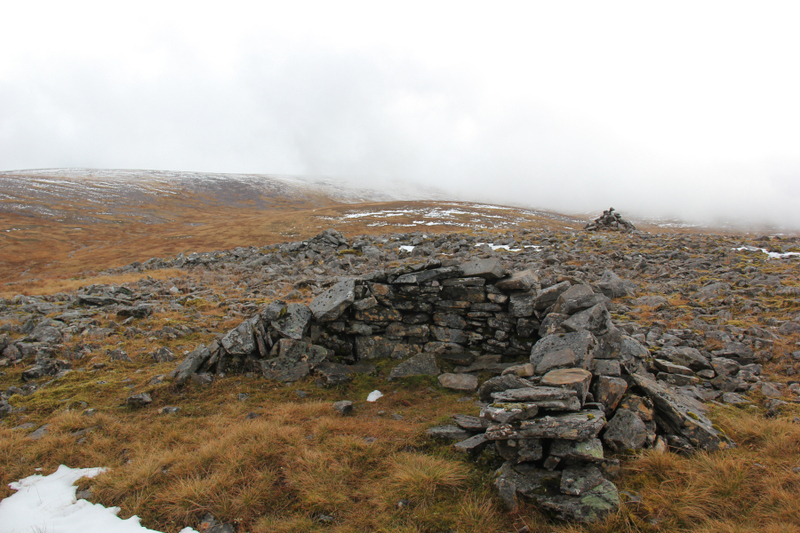 On reaching the large cairn at the roadside, we took the path that ascends towards Carn Ban Mor. 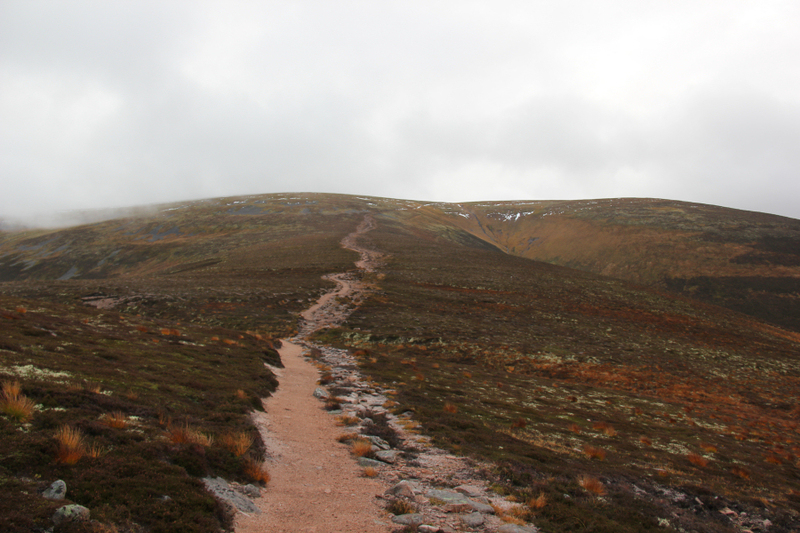 The path ascending Carn Ban Mor is now excellent having had a lot of work done on it to prevent further erosion. Having ascended this path numerous times previously, I was looking forward to reaching its high-point and continuing on to less-frequented territory. 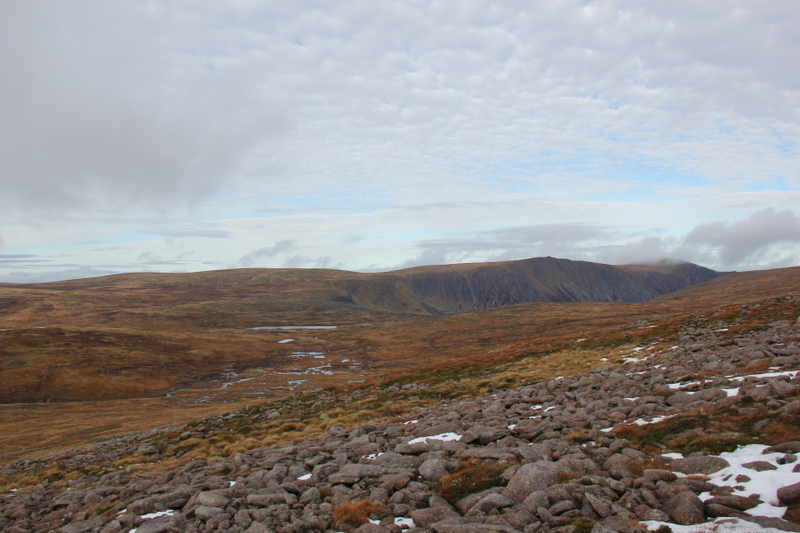 I took several photos today of Sgor Gaoith. 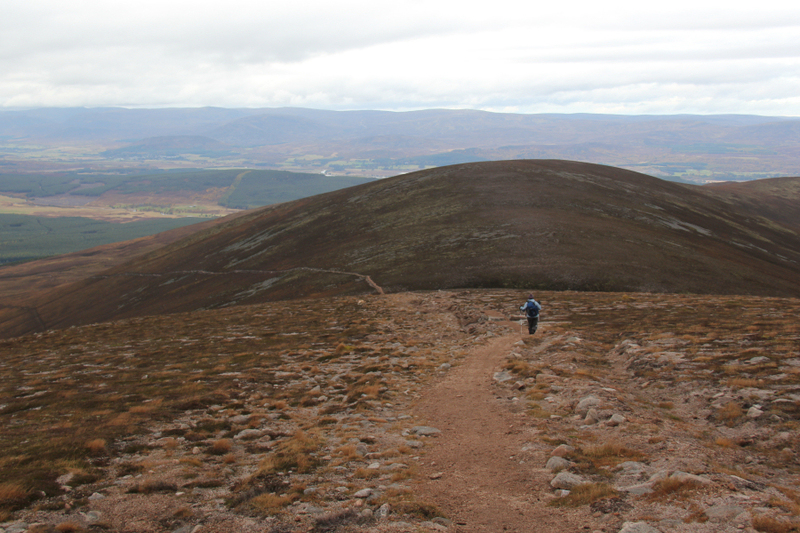 It is a superb hill, one of my favourites in the Cairngorms. 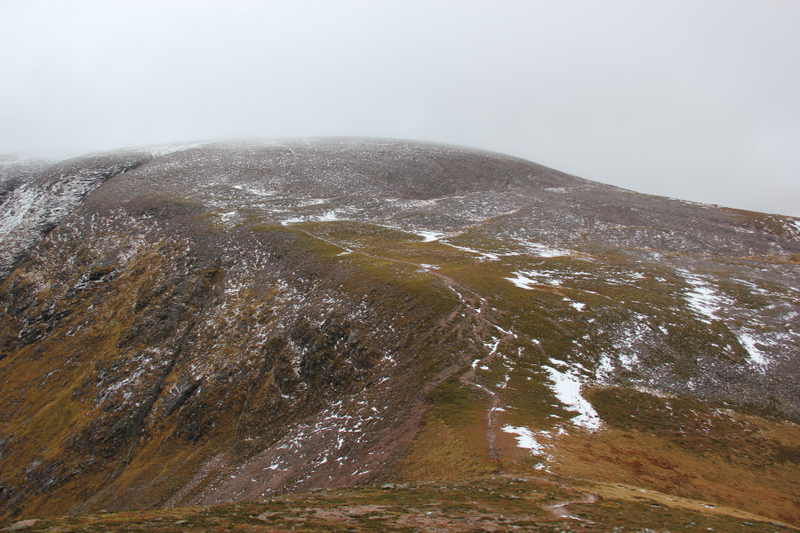 The summit is perched on the edge of a line of cliffs dropping 600m down to Loch Eanaich. 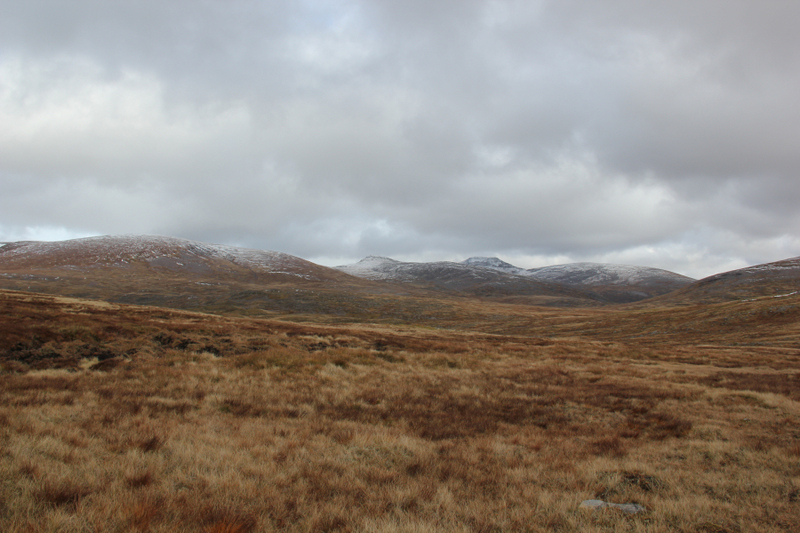 The views this morning were a touch disappointing, as most of the high peaks were capped with cloud. 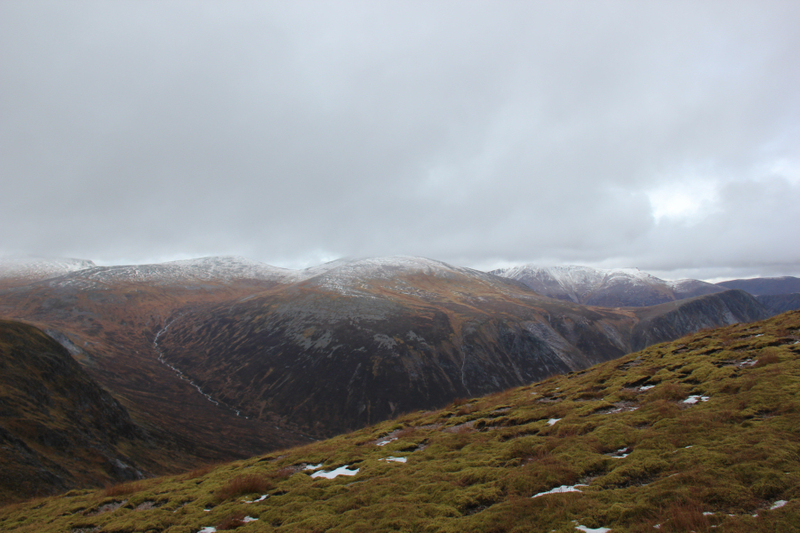 After circa 150m descent, we crossed the Allt Sgairnich and then made our way to the summit of Tom Dubh, a Munro Top of Braeraich. 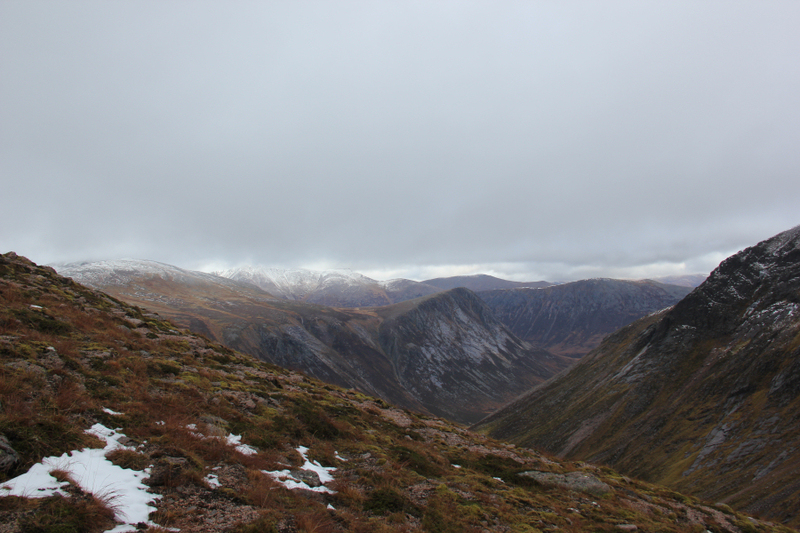 From the summit of Tom Dubh, we descended directly towards the Allt Luineag. The crossing of the Allt Luineag was not straight-forward today. 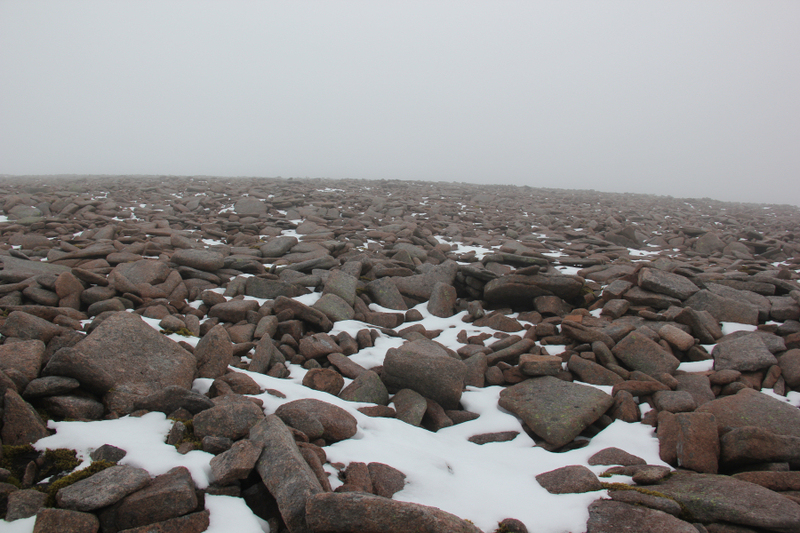 After crossing the Allt, using a number of partially-submerged boulders, we started our ascent of Monadh Mor. 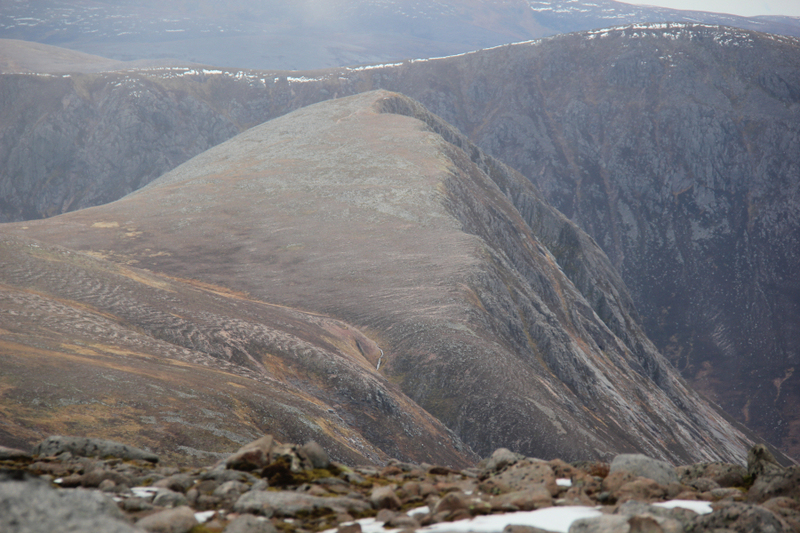 The ascent of Monadh Mor was fairly pleasant. 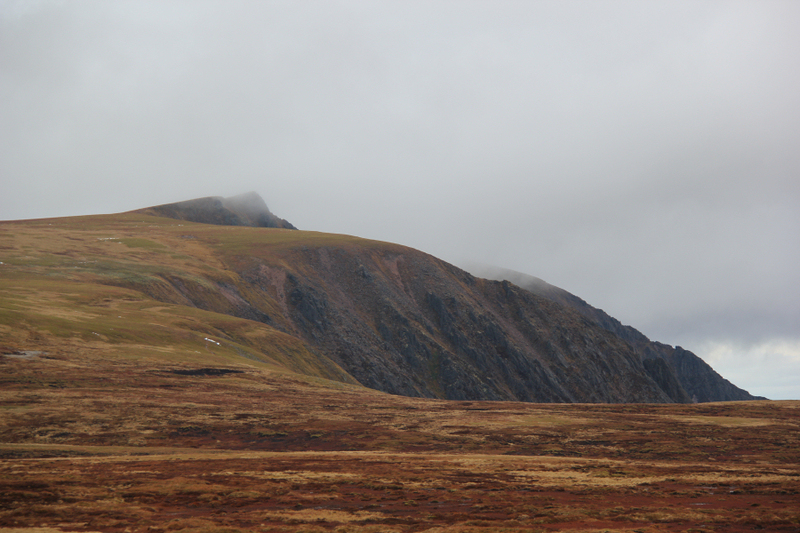 We reached the snowline at circa 1000m. We only encountered an inch or so of snow today and it was all very soft. 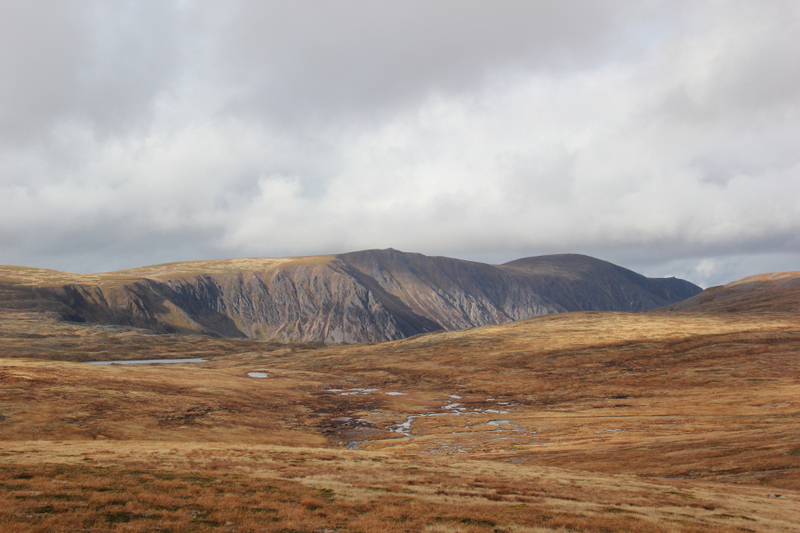 I was particularly impressed with the view across to the Devil’s Point today. 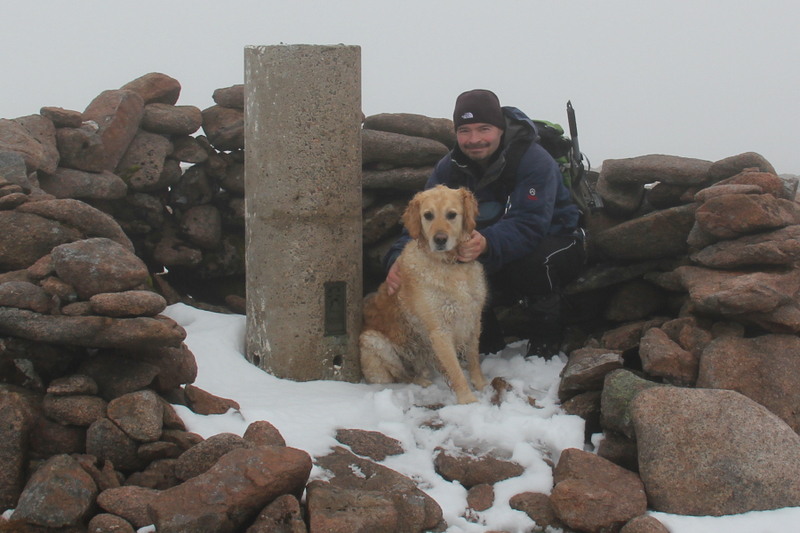 At the summit of Monadh Mor, we stopped for our first bite to eat. Beinn was quite content to share my sandwich. 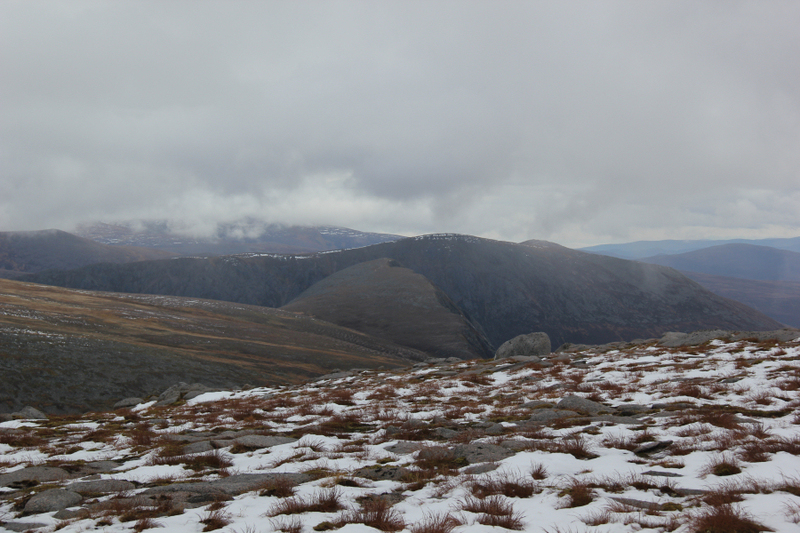 From Monadh Mor, we made our way across to Beinn Bhrotain. 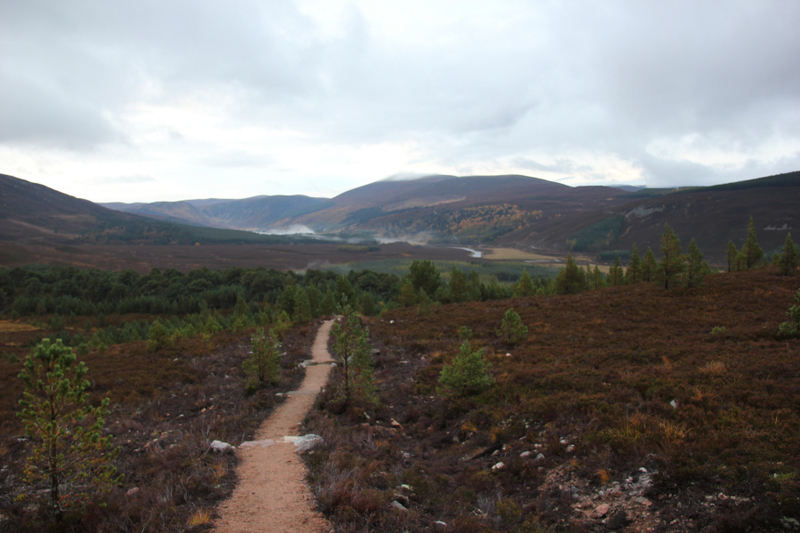 I wasn’t looking forward to having to re-ascend Monadh Mor to get back to Glen Feshie. 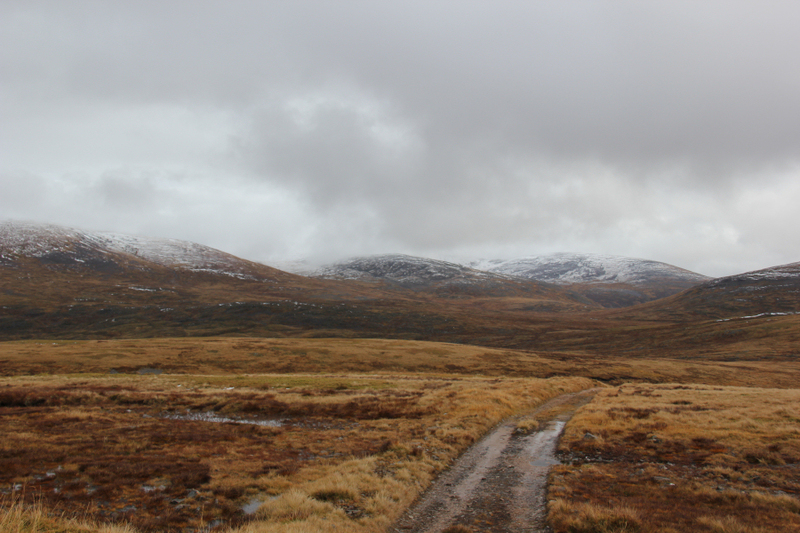 A traverse from Auchlean to Linn of Dee would have been a nicer option. 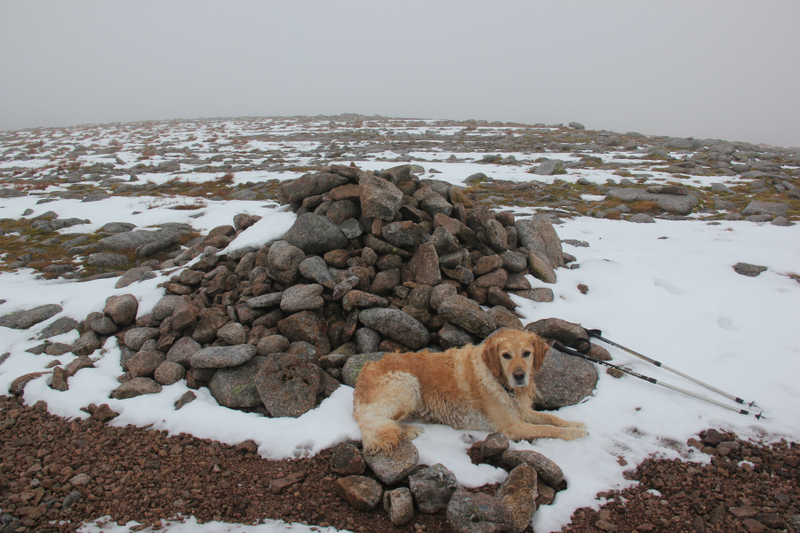 It didn’t take long to reach the bealach between Monadh Mor and Beinn Bhrotain. 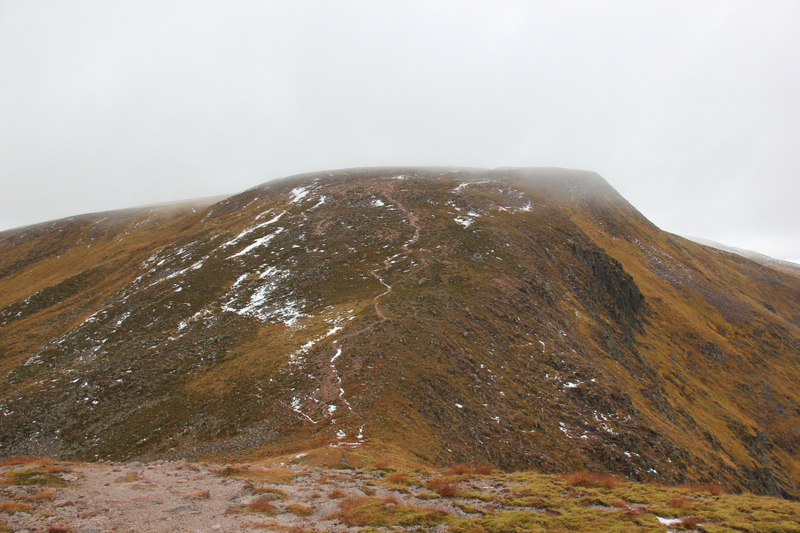 From there we followed a path ascending a short distance up Beinn Bhrotain before ascending the boulderfield. At the summit we only stopped long enough for a few photos before returning to the summit of Monadh Mor. 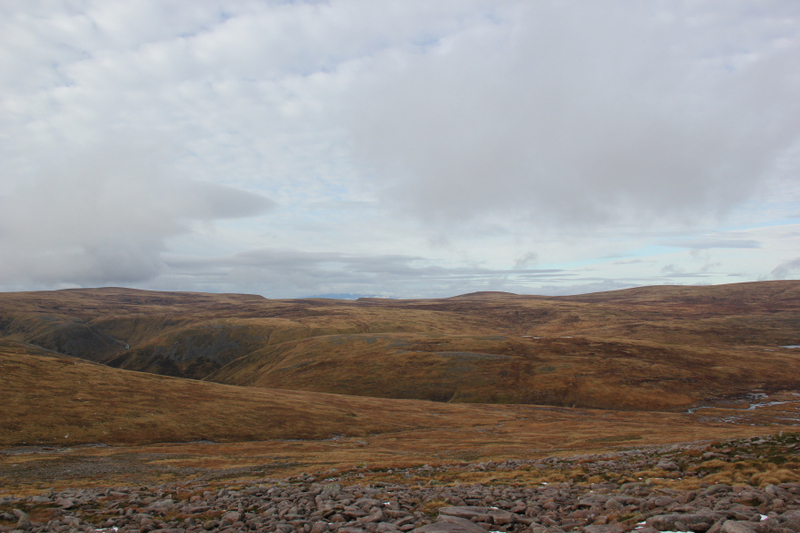 From Beinn Bhrotain, we returned to the summit of Monadh Mor where we had a short break. 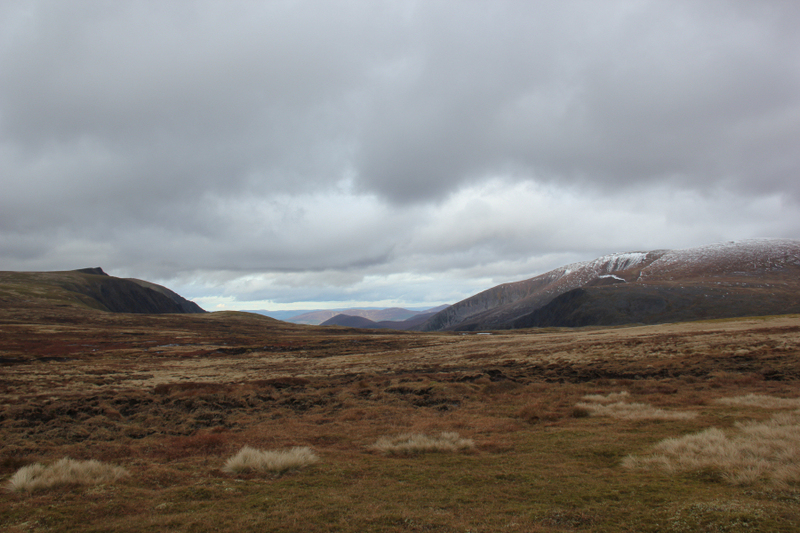 During our ascent of the track leading towards Carn Ban Mor, we got our first clear views of the day of Angel’s Peak and Cairn Toul. At last they were out of cloud! I found the ascent to the high-point of the track quite hard work, I think due to a combination of too many late nights, a head cold and sore feet from breaking-in new boots. 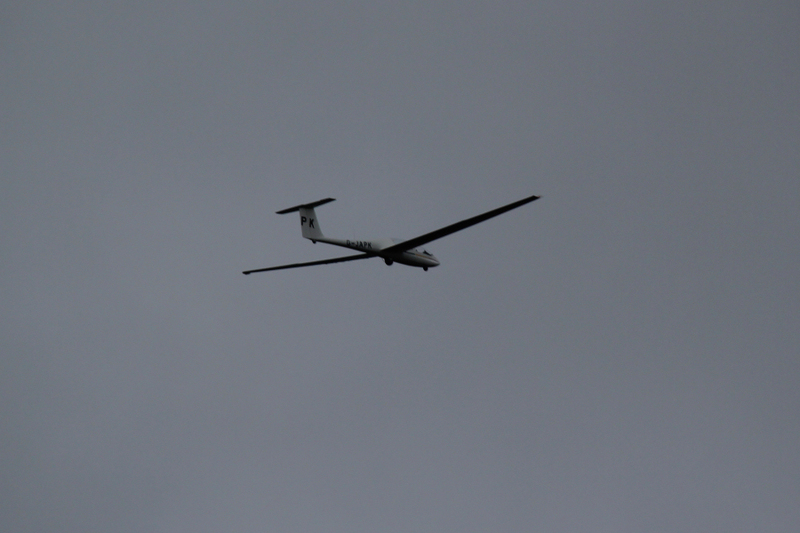 During the descent we saw a couple of gliders circling above Glen Feshie. Was great to get back to the car park and get the boots off. A good day out .